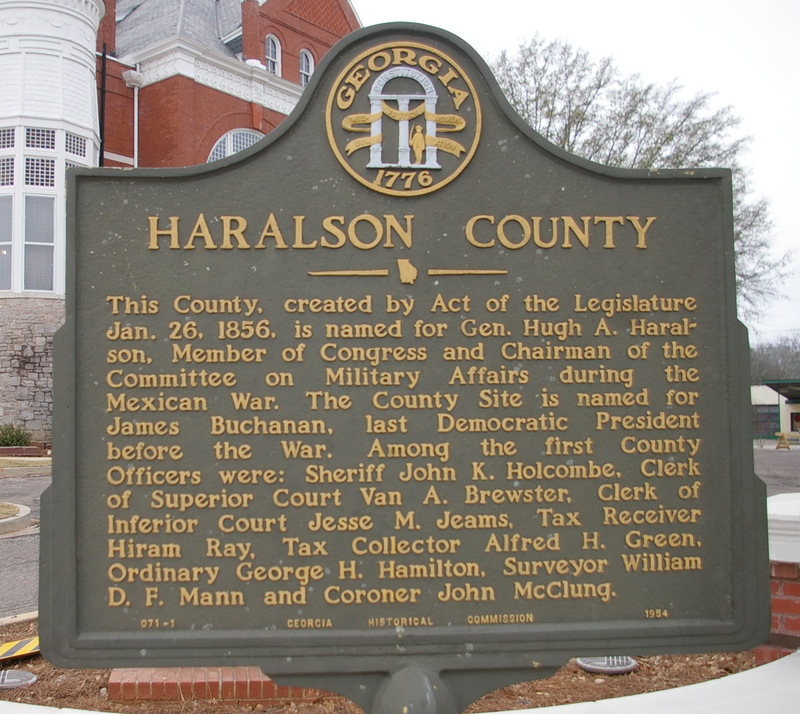 Haralson County is named for Hugh A Haralson, who was a congressman and a general. Description: The building faces north and is a two story light yellow colored brick and glass structure. 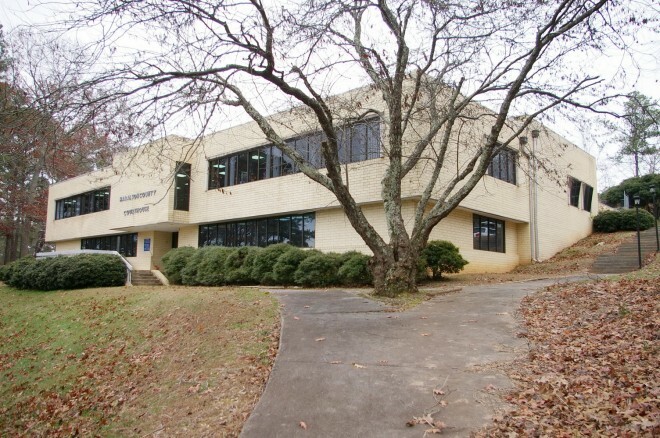 The building sits on the side of a hill with the main entrance on the second story. 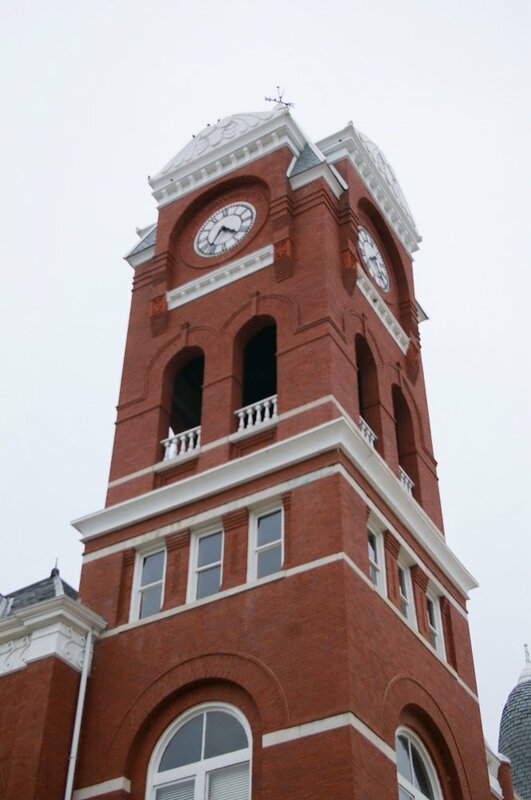 The north side has large horizontal windows. 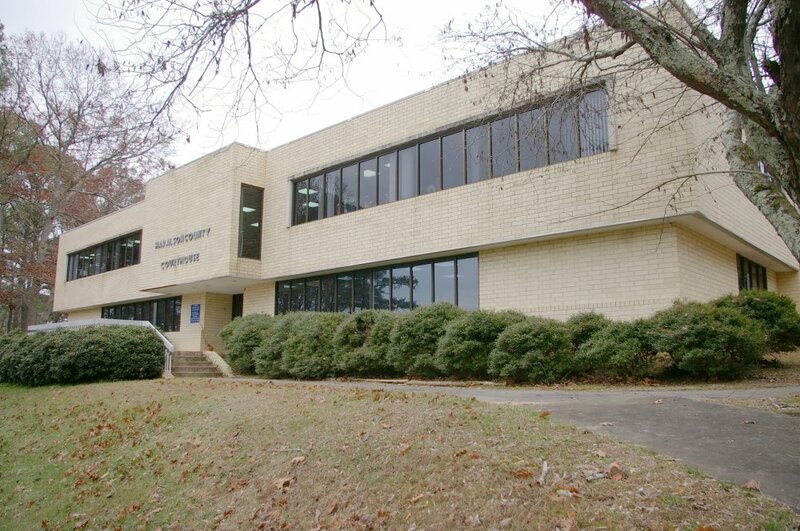 The center section projects from the main building. The roof line is flat. 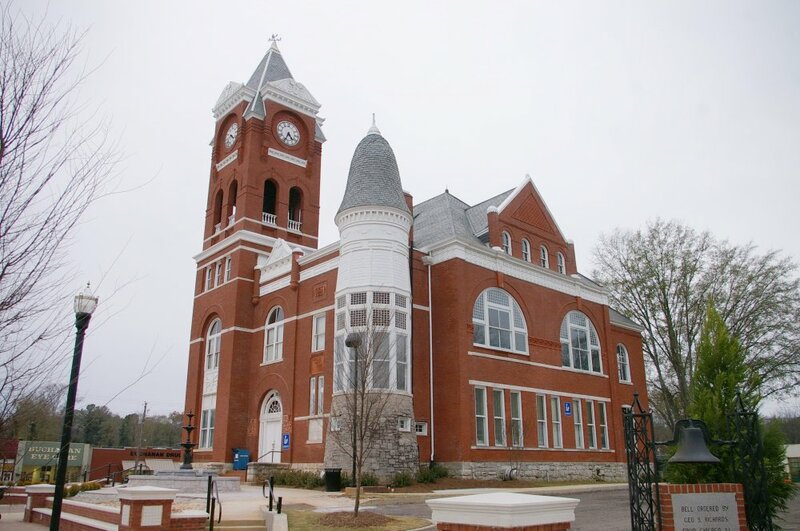 Description: The building faces east and is a three story red colored brick and stone Queen Anne style structure. On the southeast corner is a high square brick clock tower with steep roof. 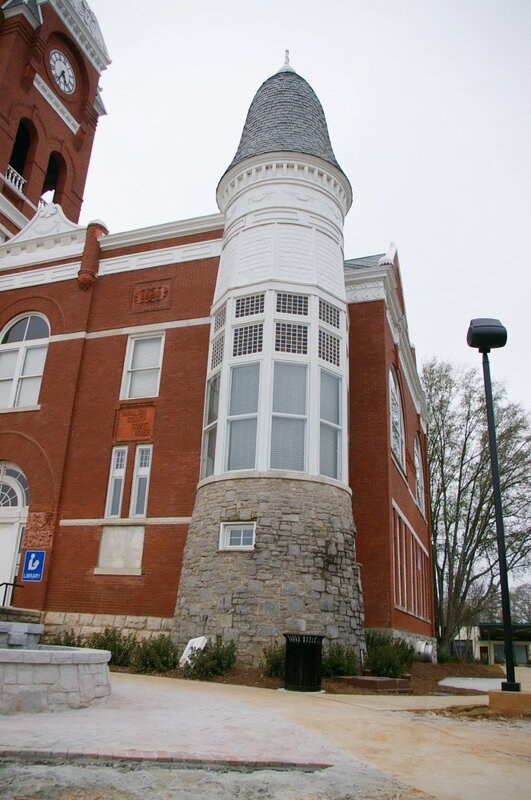 On the northeast corner is a round tower with windows and rounded dome. 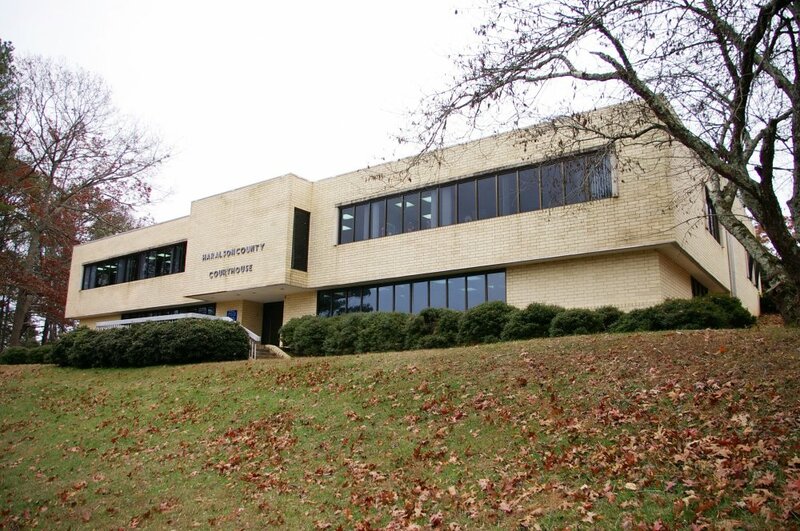 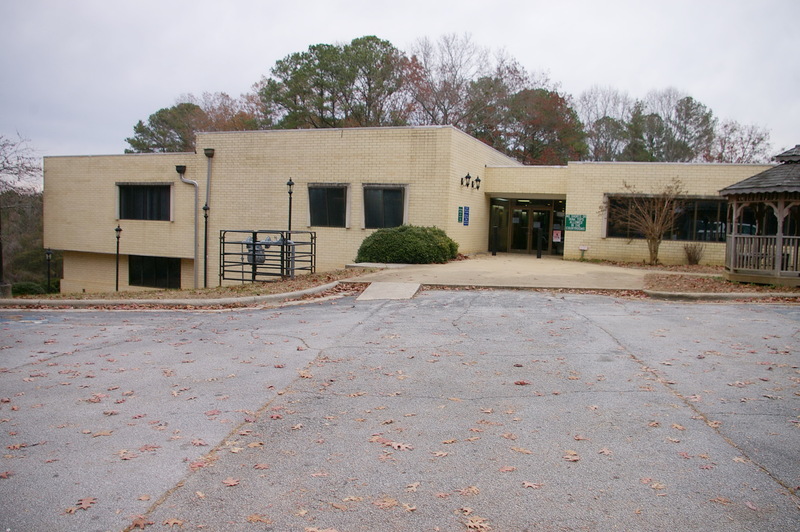 The building serves as a museum and offices of the Haralson County Historical Society and the Library. 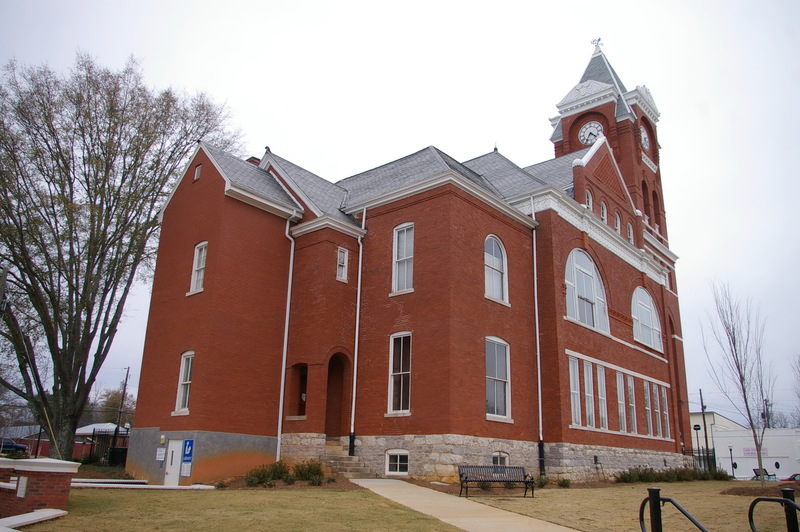 Note: The grand jury recommended that the costs of a new courthouse were not to exceed $20,000. 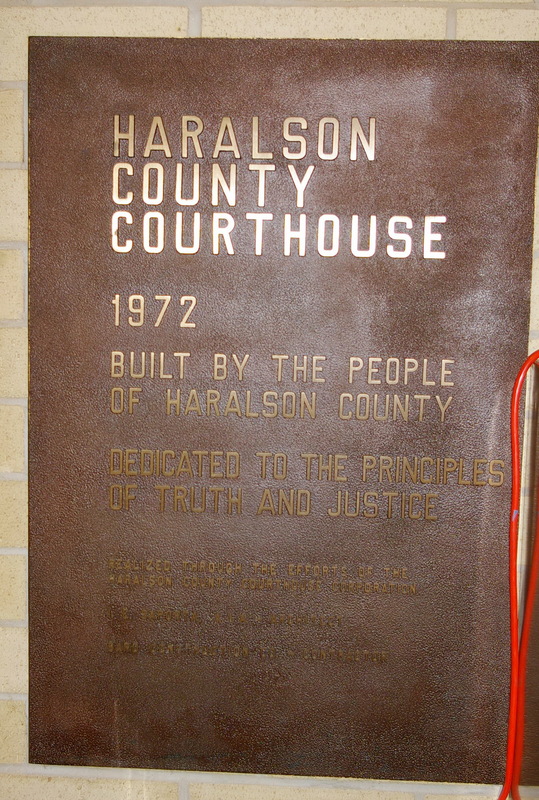 The contract to build the courthouse was awarded at $16,989.50. 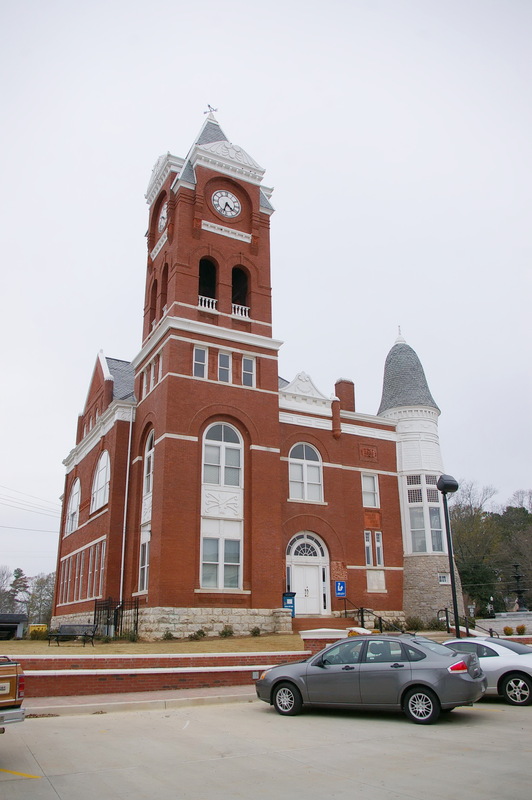 The contractor ran out of money and Judge S M Davenport wrote a warrant for $1000 so that the building could be completed. The architects Bruce & Morgan of Atlanta also designed singly or as partners a number of courthouses including courthouses in Hancock County, Fulton County and Newton County.